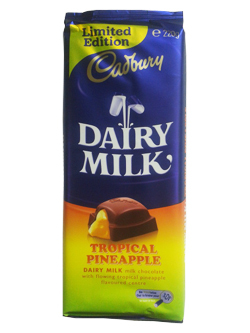 Cadbury Dairy Milk chocolate with a flowing tropical pineapple flavoured centre. Very yummy chocolate! Just like the Pineapple Lumps but smoother and with more pineapple flavour.